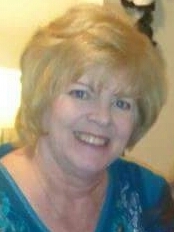 Debbie Rene Moore, age 64, of El Dorado Springs, Missouri, passed away on November 12, 2015, after an extended battle with cancer. She leaves behind her husband Harold Moore, her son Jabe Moore, and her daughter Nicole Addison. Debbie was born on May 27, 1951, in Springfield, MO, to father Russel Macom and mother Louise Macom. She grew up in a small loving home, with one sister. Debbie studied music in college at MSU. Debbie married Harold Moore in November of 1971. During the first few years of their marriage Debbie and Harold lived in Ft. Lauderdale, FL, and Clarksdale, MS, before returning home to raise a family. The happy couple lived in and raised two children in El Dorado Springs, MO. Debbie was a driven professional with a love of flowers and the beach. After her diagnosis she remained dedicated to her work while fighting her illness. She remained a brave, iron-willed woman right up through her final moments. Debbie is survived by her husband, children, sister, mother and four granddaughters. She was preceded in death by her father. Funeral services for Deborah Moore will be Monday, November 16, 2015, at11:00 A.M. at Bland-Hackleman Funeral Home. Rev. Bryan Garrison will officiate. Burial will follow at 3:00 P.M. in Maple Park Cemetery in Springfield, Missouri, under the direction of Bland-Hackleman Funeral Home. Pallbearers are: Kenny Egnor, Cory Raper, David Raper, Greg Raper, Gene Herd, and Joey Addison.